Lake Michigan webcams are a way for you to always stay in touch with this beautiful coast. No matter the time of year you're able to peek at what's happening along the shore at several Michigan beach towns. You can't always be at lake, but you can always get a look at it. Watching the lake as it transitions the seasons, even through the camera ... can refreshen the soul. This is especially true if one of the Michigan web cams is located at one of your favorite spots like Traverse City, St. Joseph or even Beaver Island! Here are the top webcams in Michigan along the west coast for your pleasure. Occasionally one may be down, or offline. This usually won't last long and they get it back online. Enjoy! Here is a webcam courtesy of Powers Hardware on Beaver Island. Beaver Island webcam. Silver Beach in St. Joseph, MI. Here you can visit Traverse City, Petoskey, Ludington and other towns courtesy of 9and10 News. 9and10 News webcams. This webcam at the Great Lake Maritime Acadamy on west Traverse Bay is really cool. It's live and you can pan around and zoom in. The Maritme Acadamy webcam. Check out Muskegon and Grand Haven from these webcams. 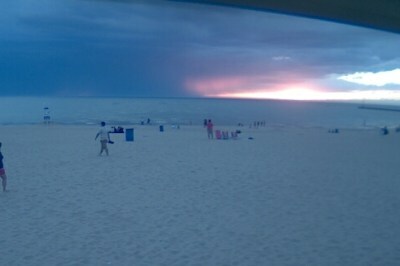 Muskegon and Grand Haven webcams. View a great Holland webcam. Holland webcam. Check out the snowcams at the Michigan Ski resorts. As we become aware of more Michigan webcams we will make them available for you. If you are aware of any webcams you would like us to add please contact us. From Lake Michigan Webcams Back To Home.